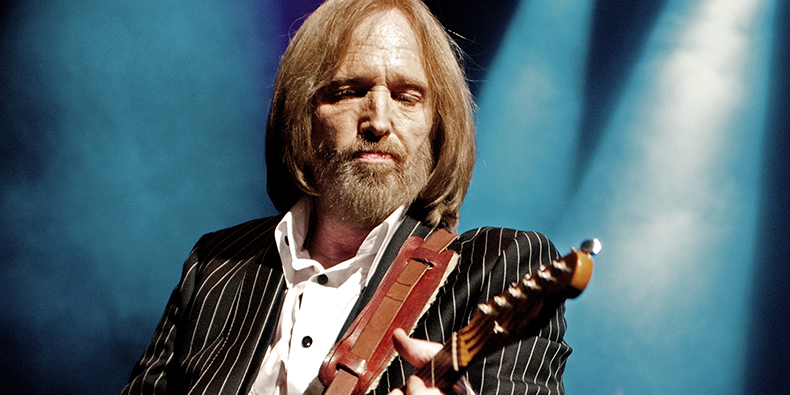 Who is Tom Petty and why is he an important figure in rock history? Tom Petty was a pretty well known rockstar from the 70’s onwards. He was the lead singer and songwriter to his band Tom Petty and the Heartbreakers which made a lot of radio hits that include Free Fallin’ and Learning to Fly. In the 1980’s he co-founded a supergroup called the Traveling Wilburys with other great musicians Jeff Lynne (of Electric Light Orchestra), Roy Orbison, Bob Dylan and George Harrison. Most of Petty’s songs became mainstays on adult contemporary and classic rock radio. His music is basically dad rock with a unique twist. He melded California rock with a deep, stubborn Southern heritage to produce a long string of durable hits. His voice was grainy and unpretty, with a Florida drawl that he proudly displayed. Tom Petty’s songs were staples of rock radio for decades, and with hits like “Refugee,” “American Girl,” “Free Fallin’ ” and “I Won’t Back Down,” Mr. Petty sold millions of albums and headlined arenas and festivals well into 2017. He played the Super Bowl halftime show in 2008 and entered the Rock & Roll Hall of Fame in 2002.